GNA is partners with Kohler; whose name is synonymous with quality and style in plumbing fixtures. Kohler has been innovating and improving plumbing since 1883 and there is no other company we’d rather work with. Our partnership allows us access to everything Kohler sells and, more importantly, an understanding and solid knowledge base for their products. Kohler also provides us additional design tools and support staff exclusive for their remodeling partners. Another outstanding company GNA works with is Schluter Systems, which has revolutionized tile prep and waterproofing systems. We use Schluter waterproofing membranes in every one of our tile projects, guaranteeing that your new space will be protected from water damage throughout its life. 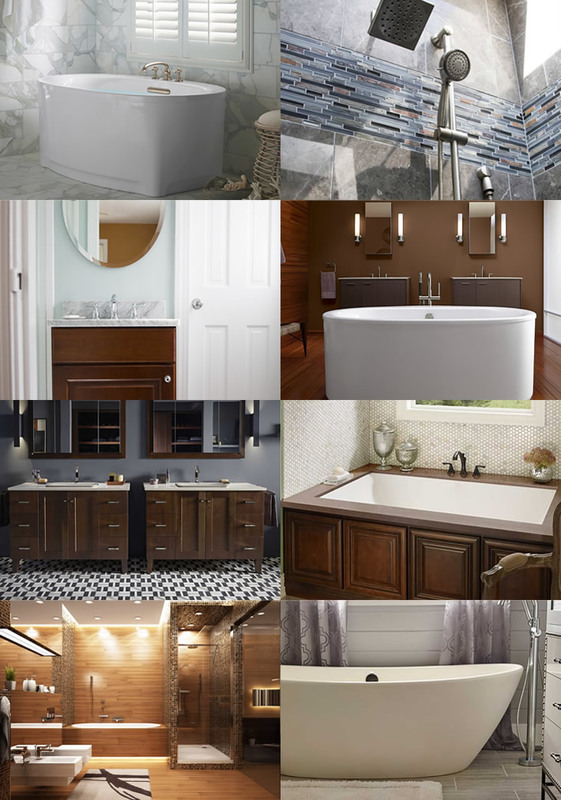 For 15 years, we have been developing relationships or “partnerships” in Northern Virginia with high-quality and responsive custom fabricators which allows us to confidently, quickly and efficiently coordinate the installation of any needed custom fabricated items for your new bathroom. For example, we have been partnering with our custom shower door fabricator for over a dozen years so we have long enjoyed priority scheduling for templating and installations. See our videos for more information.